If you really care about the look of your home, flooring shouldn’t be the afterthought that many of us might consider it to be. In addition to the color, the type of flooring installed in your home helps dictate what type of decor to add around it. For instance, if your flooring is hardwood, you might want to add plush carpets to soften it, along with leather or microfiber furniture. Plus, hardwood almost invariably improves your home’s value. But choosing and shopping for the best flooring can be a challenge, as there are so many factors to consider. They include durability, design, type of material, cost and practicality, among others. Let’s face it. Few flooring types can beat hardwood. Not only is it loved for its durability and beauty, but also for its versatility. You can also find sustainable options made of reclaimed or FSC-certified woods. Hardwood flooring was common in most homes around and before the 80s. Sadly, it went out of style as more homeowners began to install ceramic tiles and wall to wall carpet. Thanks to the changing trends and the availability of almost limitless styles to complement your taste, hardwood flooring has gained popularity once more. 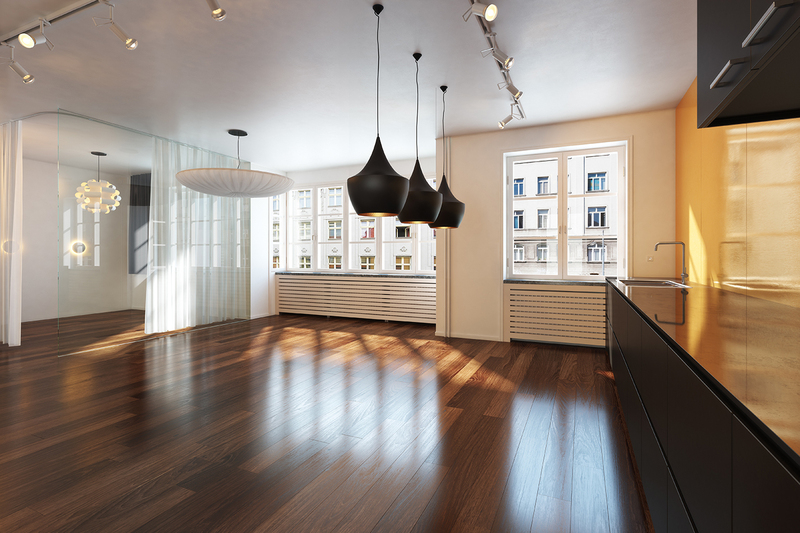 Today, you can find hardwood flooring made of everything from maple, walnut, oak, pine, cherry and even bamboo. Hardwood is a relatively durable material. Though scratches can be made when moving furniture or from pet nails and high heels, this can typically be repaired easily by sanding the floor. Easy to clean and can conceal imperfections thanks to its natural finish. Available in a wide variety of styles and colors. Vulnerable to moisture and water damage. In case of flooding, restoration must be done by professionals. Marble is a naturally occurring rock quarried from mountains around the world. This type of flooring has been used for thousands of years. It has graced various palaces which have housed kings, queens and other royals and dignitaries and has long been considered the epitome of luxury living. 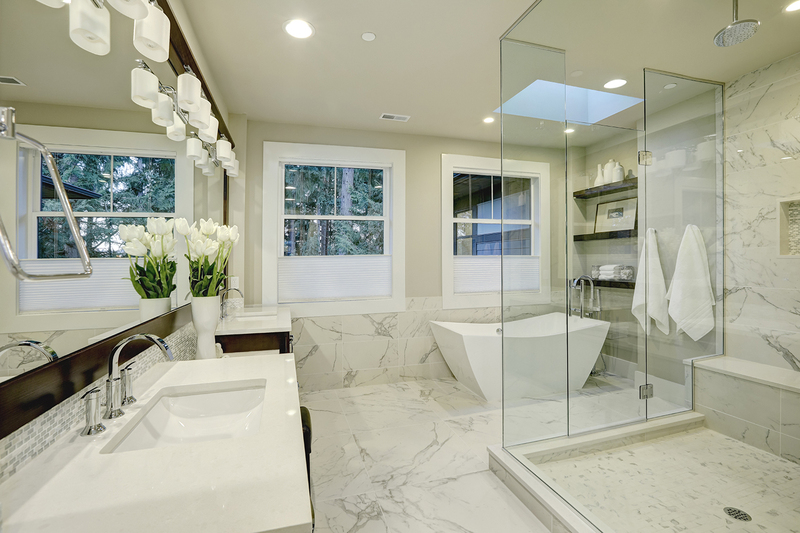 The long-term love affair with marble is due partially in part to its beautiful color options and striking grain patterns. and more expensive types of marble. Can become slippery when wet. This poses a hazard as people can slip and lose balance. It’s susceptible to stains and scratches. More expensive to install and maintain. Tends to be cold, especially during winter. 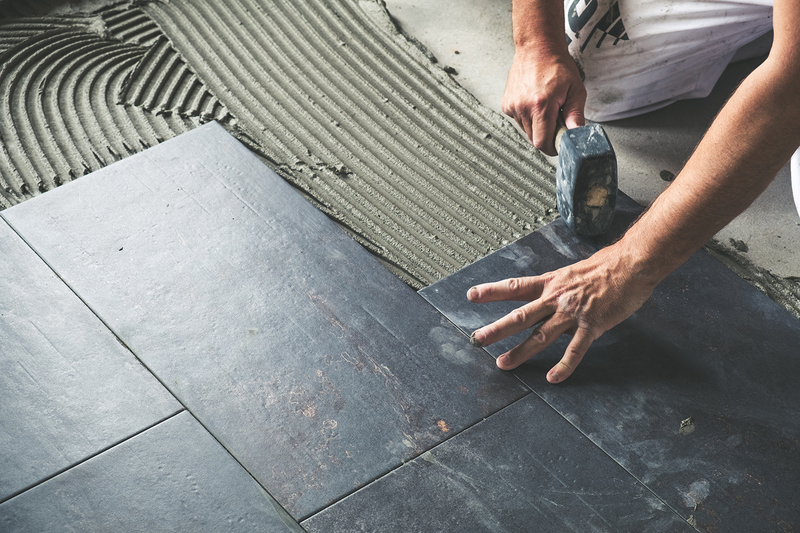 As one of the most affordable and popular flooring types, ceramic tiles are made from clay, natural products, and sand. Other floor tiles are made of stone, but recent technological advances have seen the production of rubber and glass tiles as well. Ceramic tiles are typically glazed or painted, so they often come in patterns. Today, ceramic tiles are commonly installed in living rooms, the dining area, kitchen, hallways, and bedrooms. Can be customized to suit the needs of a customer. For instance, color, design, and shape can be customized to fit with the customer’s tastes and preferences. Resistant to water and stains, which means that moisture and humidity cannot damage or distort ceramic tiles. They are also resistant to high heat. Extremely durable, and does not chip or crack easily. Can be uncomfortable to stand on, especially for a long period. Made from wood piles from hardwood or plywood, the materials are placed together and passed through a heat process under high pressure. This helps to bond the materials together, strengthening the final product. 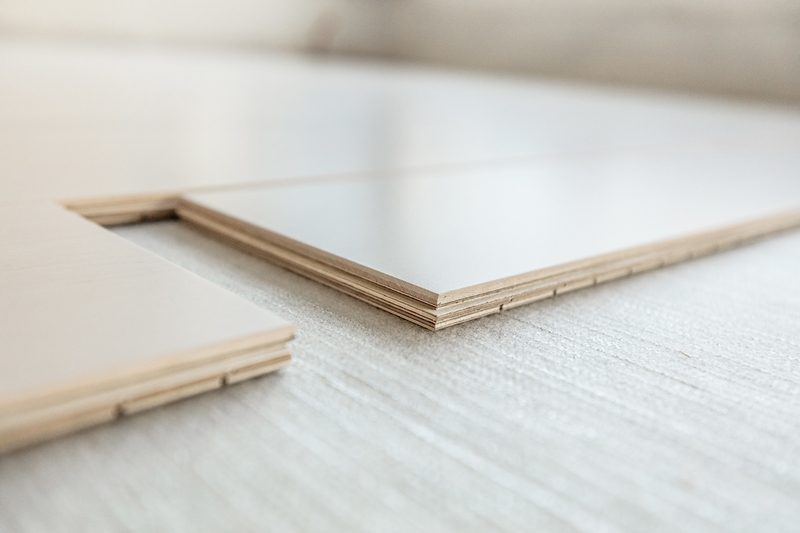 Unlike hardwood flooring, engineered wood flooring is resistant to humidity, moisture and water damage. This makes it an ideal flooring choice for homes in areas prone to flooding. Engineered wood flooring from Wood Floor Warehouse is resistant to water damage because the surface is pressed and sealed. Compared to other flooring types, it is affordable and available in a variety of different styles and colors. Durable, as it is made from wood piles passed through a heat process at high pressure, which improves bonding between the materials. Resistant to moisture and water damage. Can be installed using glue or nailed down. Color and patterns will not fade. In case of scratches when moving furniture or from pet nails, the marks can be permanent. 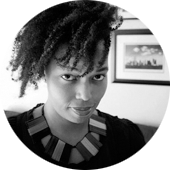 Professional help is needed to prevent issues that may arise. Like ceramic tiles, carpet remains one of the more popular types of flooring, particularly in builder-grade homes. 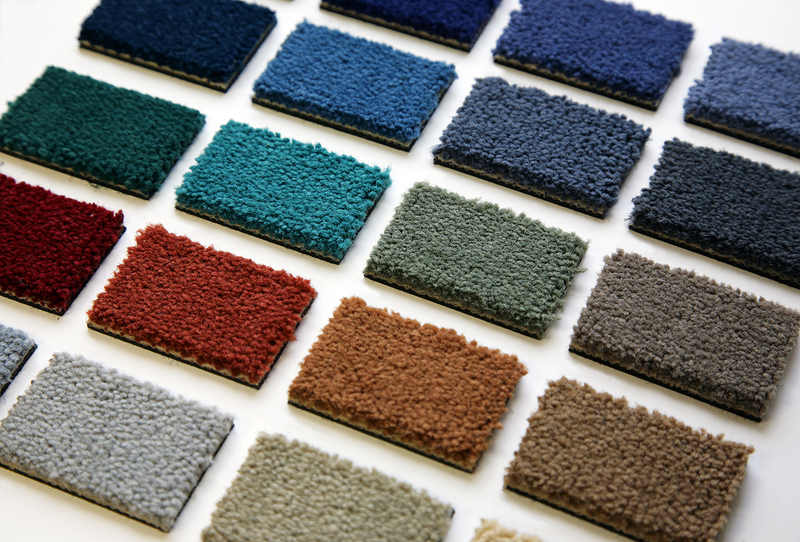 Compared to other choices, carpet is less expensive and available in tons of different styles, patterns, and materials, as well as shapes and colors. Unlike ceramic tiles and marble, which can be cold to stand on for long periods of time, carpet is a more comfortable choice. Available in almost unlimited colors, textures, materials and styles. Acts as an insulator, minimizing sound and heat loss. More affordable than solid flooring options. Relatively easy to maintain with vacuuming and shampooing. The temperature of the carpet remains uniform all year round. Susceptible to stains, which means professional cleaning may be required. 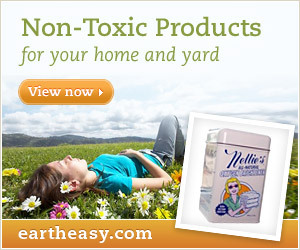 Allows dirt, dust, and pet hair to accumulate, which may aggravate allergies. Pro tip: If you choose carpet, have residents of your home, as well as visitors, remove their shoes at the door to avoid tracking in dirt, dust and allergens. There you have it: 5 flooring types suitable for your home. There’s no wrong choice, but there is an informed choice, based on your needs and the characteristics of the flooring you’re considering. Bookmark this list as a reference the next time you’re choosing flooring.